Pro is the perfect application method for darker-toned products that would be difficult to rinse clean from a lighter colored applicator. Use with complexion products, long-wear makeup and self-tanners for flawless results. 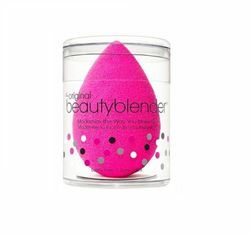 This exclusive edition of beautyblender® is handcrafted in the USA. It’s made of the same one-of-a-kind beautyblender® material, in an iconic Sephora red that will have every beauty addict clamoring for more! Finally a tool to ensure professional-style contouring, highlighting and concealing which can easily be accomplished by a makeup novice or a makeupnista. 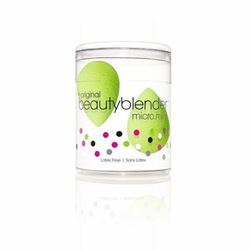 Micro.mini is ¼ the size of the original beautyblender®, but grows to twice its size when wet, making it the perfect size to maneuver into small areas such as the under eye, inner eye corners, lids, brow bones, sides of the nose, top of the cheeks and acne spots. A better way to blot! This game-changing washable, reusable alternative to blotting papers in iconic beautyblender® pink allows for precise, cushion blotting. 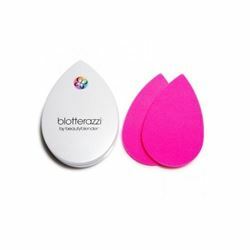 Shaped to fit all contours of the face, blotterazzi™ saves you from unused corners like traditional blotting papers. 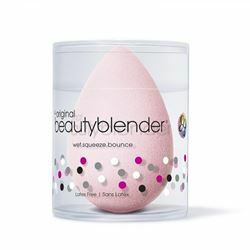 A beautyblender® large enough to cover the curves of your body and contoured enough to sit perfectly in the palm of your hand. 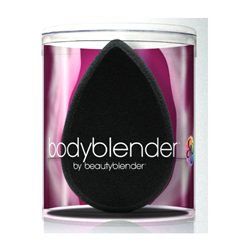 bodyblender® by beautyblender® ensures controlled, even coverage and super-soft, streak-free blending of self-tanning lotions, bronzers and more. 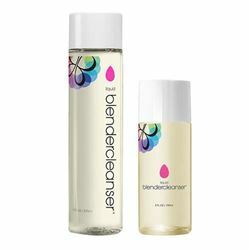 Blendercleanser Solid is the travel friendly alternative to the original liquid Blendercleanser. 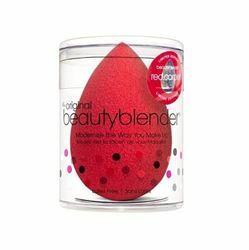 It still provides the same cleansing results for the Beautyblender Sponge and make up brushes. Made especially for soaking out tough stains, the demineralized water and natural sea salt help to detoxify and absorb toxins. Lavender's soothing scent provides aromatherapy benefits to beautyblender®. Demineralized water and natural sea salt are earth-friendly and keep your beautyblender® - and brushes – squeaky clean! 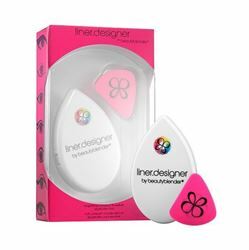 Liner Designer, beautyblender®’s eyeliner application tool, is a genius triple-edged eyeliner guide. It becomes your steady hand and symmetry expert when applying liner to your eyes. It’s now easy to achieve your favorite eyeliner styles with ease and makes applying liner effortless. 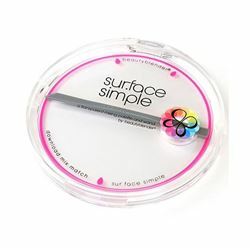 Perfect for use with all eyeliners, pencils, pens, gel creams, liquid and powder. A super modern workspace just like the pros use to download, mix, and match makeup. Become a makeup mixologist by creating exact skin tone matches with foundations, BB creams, CC creams, and more. Blend infinite custom shades of lipstick, cream eyeshadow, and any other cream-based product. Use the numbered storage wells to organize and keep your blends protected and the flexible spatula to blend. The thumb hole doubles as a resting place for your beautyblender®. blendercleanser solid pro is now charcoal-infused, aiding in the removal of excess product, dirt, and oil from blenders and brushes for clean makeup application. With hints of lavender, the formula supports the integrity of the blender's exclusive material and provides the same superior cleansing results as the liquid blendercleanser. 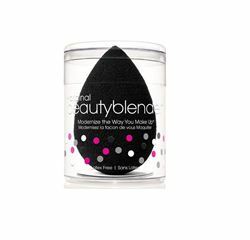 The large size makes washing multiple blenders a cinch and even includes a large silicone scrubbing pad that doubles as a platform to deep clean all of your makeup tools and as a place to dry your soap before placing it back in the canister. Quick, easy, effective and perfect for anyone on the go! 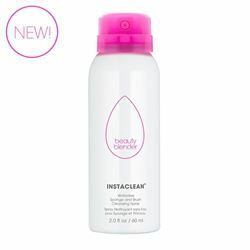 INSTACLEAN ™ Waterless Sponge and Brush Cleansing Spray No time for a full cleanse? No problem. Like a dry shampoo for your strands, this quick drying spray spot cleans your beautyblender ® or makeup brushes instantly--sans rinsing. It also allows you to switch from one product to the next for a true to color application every time--from foundation to blush and everything in between. The travel-friendly size allows you to keep your tools clean, no matter where you are or where you’re going. Plus, the alcohol-free formula contains a subtle calming scent of lavender. 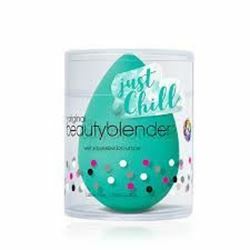 Beautyblender time two! Double your fun with two of out award-winning beautyblender originals and our popular 5 ox liquid blendercleanser - All wrapped up in a perfect cleanser kit. 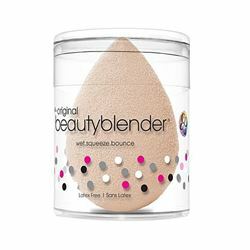 Two Beautyblender originals to flawlessly apply foundation, powder, bb cream, cc cream, cream blush and more. One 5oz liquid blendercleanser to support the integrity of the blender as well as removes excess residue and germs for a clean makeup application. Use to clean makeup brushes too! A collection of blenders, cleansers and a storage case for a complete all-in-one kit. It includes two shades of the best-selling beautyblender, in original and joy, along with two new scents for our mini blendercleanser solid® soaps and a blender defender to help keep sponges in prime condition. Like a scrumptious candy box, this gift dazzles with a variety of beautyblender essentials, perfect for your favorite beauty queen. Better yet, it doesn’t even require wrapping!